After a few hours of navigating through flight cancellations and delays, Chris and I finally arrived in Punta Mita, Mexico for a few days of R&R. I have to admit that I thoroughly enjoy planning and booking trips because I see it as an opportunity to get extra value for my dollar. Plus, booking a sweet travel deal is so much more rewarding than purchasing a discounted coffee table. I have a few go-to credit cards that I use when booking travel, and our Mexico trip is the perfect opportunity to talk about one of my favorites: the American Express Platinum card. I always use my American Express Platinum card to book resort stays through the Fine Hotels & Resorts portal ("FH&R" from now on). This platform offers major benefits at luxury properties worldwide: free breakfast, spa credits, high-speed Internet, early check-in and late check-out, room upgrades, and price promotions. The total value of these benefits was $1,330! What a way to travel, am I right? 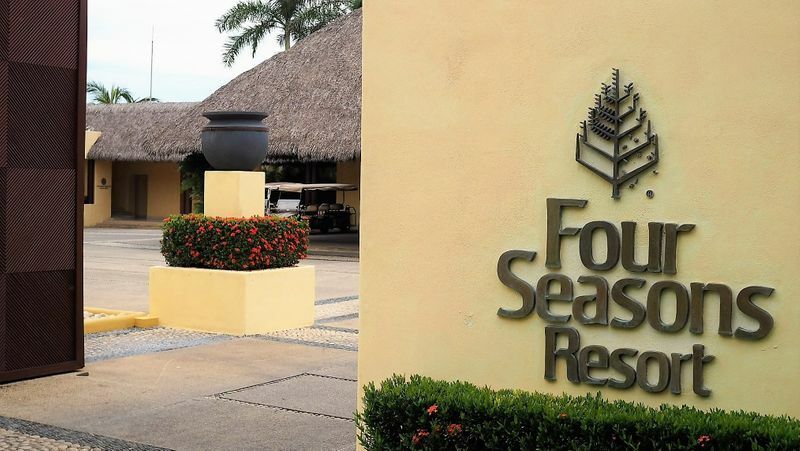 Beyond the AmEx perks, our experience at the Four Seasons Punta Mita exceeded our expectations. The property, service, amenities, and restaurants were top-notch, and the sheer number of restaurants, pools, beaches, and things to do made us never want to leave the property. Our favorite activities were the lazy river, the ocean-view spin class, the tequila blending class, and finally, the baby sea turtle release. $200 annual airline fee credit. 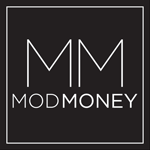 $100 credit for Global Entry. 5x points on hotels and airfare booked through AmEx. 60,000 point sign-up bonus. Worth upwards of $1,200 when transferred to hotel and airline partners. I signed up for the card when AmEx offered a targeted 100,000 point bonus, worth $2,000. American Express Concierge. Helpful in reserving tables at booked restaurants, getting tickets to popular events, etc. 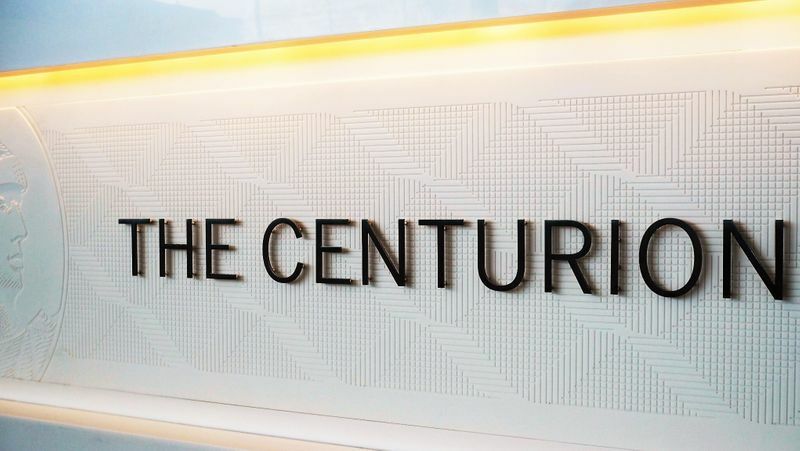 Access to Centurion and Priority Pass airport lounges. This perk was a relief when we were stuck in the DFW airport due to a canceled flight. The line to speak with a gate agent wrapped around the hallway, so we headed straight for the Centurion Lounge. Within minutes, the lounge agent booked us on a new flight. These Centurion lounges also offer complimentary food by award-winning chefs, alcoholic beverages, premium Internet, showers, and even spas. One of my favorite Platinum perks is the automatic elite status at Hilton and Starwood, which leads me into the next part of our trip. 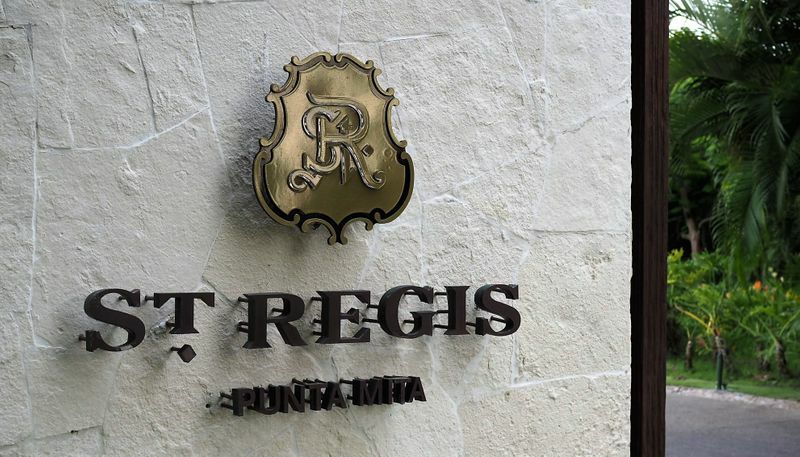 We booked our final night's stay in Punta Mita at the St. Regis, which is a Starwood property. Since AmEx Platinum earns us automatic Starwood Preferred Gold status, we received early check-in, late check-out, an ocean-view room upgrade, a free cocktail, and discounted restaurant dining. The Four Seasons set a high bar for the remainder of our stay. However, the St. Regis's stunning, impeccably manicured property did not disappoint. We were greeted at check-in with a palm tree-lined ocean view and the choice of hibiscus iced tea or margaritas to sip. Then, we proceeded to our upgraded room with our personal butler (!!!) and promptly made our way to the Sea Breeze bar for a margarita class that consisted of more drinking than learning. We spent the remainder of our day sipping coconuts at the infinity edge pool and savoring food and dessert al fresco. While we weren't ready to leave paradise, the trip home was a smooth success thanks to the Global Entry program. As I mentioned, my AmEx Platinum card reimbursed me for the $100 application fee. I'm an anxious traveler, but Global Entry (which comes with TSA Pre-Check) has been the best stress-reliever. When we landed back in Dallas, we bypassed a two hour long customs line and headed straight to a kiosk where we scanned our passports and fingerprints. We were in and out in five minutes, leaving plenty of time to grab some short rib tacos and bananas foster bread pudding in the Centurion Lounge. Needless to say, we're already thinking about our next getaway, so pass along your travel inspo! Where is your favorite place to vacation, and how do you get the best value out of your trips?